This ALCATEL ONETOUCH Elevate is a $99 phone from www.boostmobile.com! No matter what plan you pick the phone will be fantastic on any of them. Android 5.1 Lollipop: ALCATEL ONETOUCH Elevate features Android 5.1 Lollipop, providing users an enhanced multitasking experience, complete with the Google Now Launcher, which brings “OK Google” voice commands and content like local weather, directions and upcoming calendar alerts right to your home screen. 4.5-inch FWVGA display: Perfectly portable compact form factor easily fits into purse or pocket, but still provides a large quality screen for staying connecting on-the-go. 5-megapixel auto focus camera with LED flash and 2-megapixel front camera: Never miss a moment with Elevate’s 5MP camera, or enjoy video chatting or capturing the perfect selfie with the phone’s 2MP front camera. 3G/4G LTE/Enhanced LTE3: ALCATEL ONETOUCH Elevate brings the power of LTE to the masses. Browse the Web, download a game or upload a photo with faster 4G LTE speeds. Quad-core 1.1GHz processor: Powered by a quad-core processor, Elevate delivers smooth performance with low power consumption, so you can rise above whatever the day throws at you. I think this cell phone is the perfect size, it is large but not too big for your pocket. It is fast, has 8GB ROM and can be upgraded with a microSDHC card and those are not costly. My tech geek husband specially liked the Android 5.a Lollopop OS. Winner will also get a snap on watch! Check back for a review on another great boost mobile smart phone in our Holiday Gift Guide! 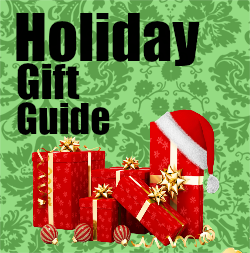 Find more great gifts and giveaways in this years Holiday Gift Guide. This phone would be a Christmas present for my son if I were lucky enough to win. I'd gift this to my son. It seems like a great phone! Thanks for the chance! !